Baltimore-based Patton Electronics Company makes its products locally and sells globally—to customers in 125 countries. 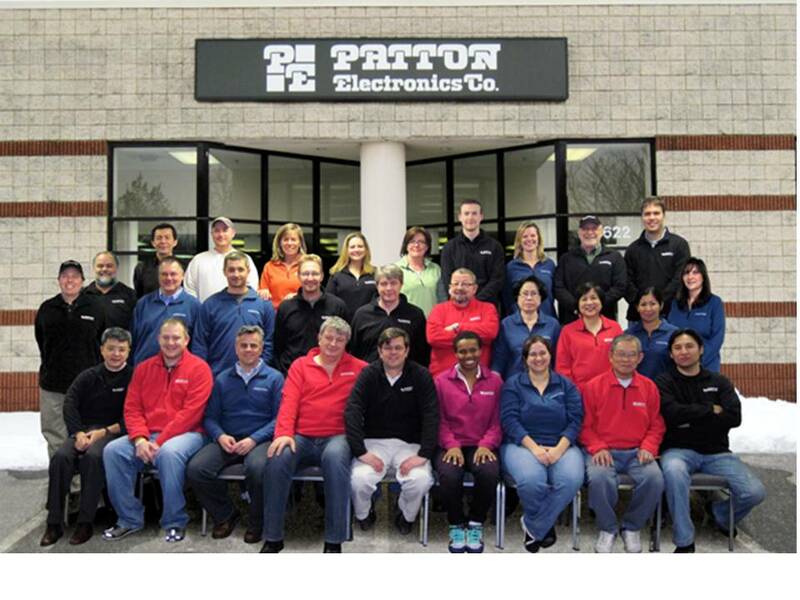 Thanks to an entrepreneurial family and help from U.S. government export agencies, Patton Electronics now derives most of its profits from international sales. Bobby Patton, co-owner of Patton Electronics and a client of the Baltimore Export Assistance Center spoke with Doug Barry to tell us the rest of the story. Patton: My younger brother and I started the company while we were still students at the University of Maryland. We were majoring in computer science. And he later changed to marketing, which was good for us, because it enabled us to really start thinking about business. We started by making little devices that would connect mainframe computers and dumb terminals, selling mostly to Fortune 500 companies and universities and hospitals. We have about a thousand products that we sell today. The best-selling products are in voice over IP. Barry: How’d you start selling internationally? Patton: We were in the technology business. When the World Wide Web really started to take off, we were very early in getting a domain name and putting out corporate presence on the Web, and started to find international customers interested in our products. So after a few queries came in – mostly from Europe– we decided to make a trip in the early ’90s to England and Western Europe and identify where we could sell our products in those markets. Barry: How did you do that? You just don’t get on a plane and fly into a city and start opening the phone book. Patton: Actually, we did go into these various cities and opened the phone book and looked for companies that were in the communication space. We had some leads through the Internet, so we knew that there were some companies that we could visit. But once we got there, we looked up other companies and made additional stops along the way. Barry: So it was a pretty brave thing to show up in a foreign city where you had never been with a phone book in hand. Did you have anxieties? Patton: Not really. My father was a serial entrepreneur. He is a father of 10 children, so a big family. And we used to gather around the dinner table, and he would have business meetings at the dinner table and a lot of us kids would be listening in. So part of the culture growing up was conducting business at home and working with international reps and channels. Barry: Give us a little sense of the scope of your international business at this stage and how it has grown. Patton: We have been growing pretty steadily. It was a very small part of our business when we started out. At this point, international revenue is about 70 percent of our business. We have active channels – thousands of active resale channels selling in more than 120 different countries. So we’ve been to virtually every continent that has a city. And been there and set up channels and are selling our products into those markets. Barry: And how many people do you employ in the Baltimore area? Patton: We have about a hundred employees in Maryland. And we have our manufacturing facility in Gaithersburg, which is also another rare thing. 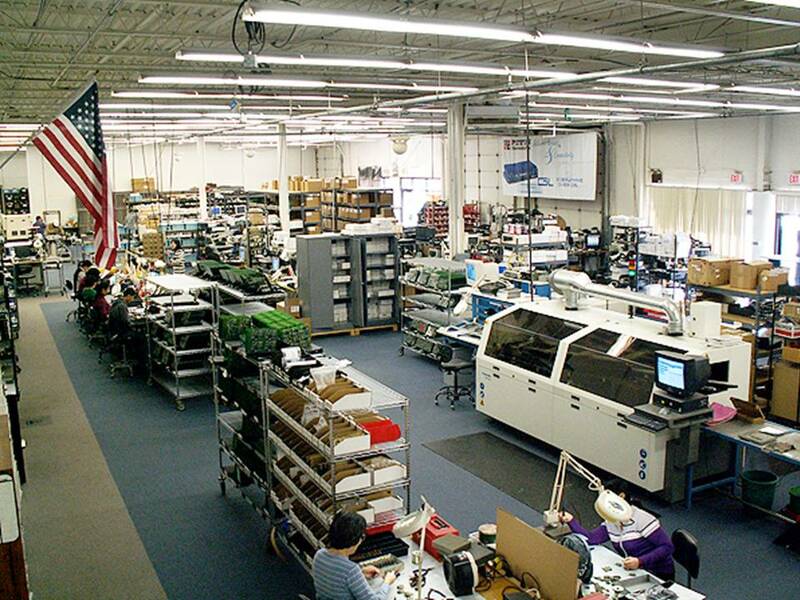 We manufacture our products here in the U.S. and ship them around the world. We consider ourselves a micro-multinational. So we’re fairly small, but we have all the complexities of a multinational company. Barry: Would you say that your experience could serve as a model for other U.S. companies that would like to manufacture here and sell what they make globally? Patton: Absolutely. I can just tell you from my experience that the U.S. has brand recognition around the world as being a quality manufacturing location, and so U.S. products are very well received around the world. We have a leg up compared to most other countries that are manufacturing these days. So there’s huge opportunity there. Barry: So why is it that many commentators are pessimistic on the future of U.S. manufacturing? Patton: I think the future for U.S. manufacturing is bright. And I think that there’s a big push to bring manufacturing back to the United States, re-sourcing from the local markets. It is true that the more outsourcing that you do, the more of the legacy knowledge you lose in the things that you used to make and the things that you used to manufacture. But the manufacturing world has changed, too. And there’s a lot more automation that’s going on, and a lot more of what used to be really skillful labor has been automated – there’s machines. And so now the skills that we need are people who can effectively run machines. Barry: You work a lot with government export promotion agencies. How have they helped you? Barry: What advice do you have for companies contemplating starting or expanding international sales? Patton: Overcome your fear. Start with the thing that’s going to be the least scary. Take some initial steps. Take some initial orders. Don’t get too risky all at once. Start small; grow from there. Barry: Do you have children? Are you passing that same interest in the world to them that your dad gave to you? Patton: Yes. I have five children. My wife is very active with two foreign student exchange programs. So we have foreign students living with us pretty regularly. And we’ve taken our children on international travel as well. We hope that they get the idea that the world really is flat, that there’s lots of opportunity around the globe.